Liability, Damages, and Negligence: What Victims Need to Know About North Carolina Trucking Accidents - Ward and Smith, P.A. Commercial trucking is essential to the North Carolina economy. According to one source, over 70% of all freight tonnage in the United States is moved on trucks, and there are 3.6 million heavy-duty commercial trucks on the road each year. Unfortunately, with so many trucks on the roadways, accidents are inevitable. The Federal Motor Carrier Safety Administration ("FMCSA"), which regulates commercial trucking, tracks the trends in crashes involving large trucks resulting in both personal injury and fatalities. The FMCSA report indicates that the number of truck crashes involving personal injuries increased 62% from 2009 to 2015—to over 95,000 total crashes. With this volume of truck crashes, it is a good idea to be aware of the types of legal issues involved should you or a family member find yourself in the unfortunate situation of being involved in an accident in North Carolina with a commercial truck, which may be an "18-wheeler" but which could also be a smaller "box truck" or even a van. As with other personal injury cases, an injured person is only entitled to recover damages from a truck driver or trucking company if the driver or trucking company was "at fault" for the accident. In legal terms, the driver or the trucking company must have been "negligent" in causing the accident, and that negligence must have "proximately caused" the person's injury. Of course, sometimes an accident is more than one party's fault. North Carolina is one of only a few states that still recognizes and enforces the common law rule of "contributory negligence." That rule provides that if the injured party negligently contributes to the collision—even by just 1%—then the injured party cannot recover at all from the other party—even if the other party was 99% at fault. This is a harsh rule that most other states have abolished. However, North Carolina also recognizes exceptions to the rule, such as the doctrine of "last clear chance" (a showing that the other driver had the last opportunity to avoid the accident), and, possibly, when the other driver is "grossly negligent." If the contributory negligence rule does not apply, or if one of the exceptions to the rule applies, the injured party then is able to recover all damages "proximately caused" by the truck driver's (or the trucking company's) negligence. Such damages can include the cost of repairing or replacing damaged property (such as the injured party's car), medical bills, future medical costs associated with ongoing care, lost wages, diminished future earning, pain and suffering, scarring or disfigurement, loss of use of part of the body, or the permanency associated with any continuing injuries. The goal of personal injury damages is to make the injured party "whole." This is obviously impossible after a serious or catastrophic loss, but the law does the best it can by awarding monetary damages to compensate, as nearly as possible, for the injured person's loss. Thus, the at-fault truck driver, the driver's employer, their insurance company, or another liable party (as discussed below) may be responsible to pay damages for all such losses. Trucking cases can be particularly complicated given both the distinct factual issues and legal issues that may apply. First, there may be more parties involved in a trucking accident than a typical automobile accident. The driver of the truck, of course, may be at fault. But truck drivers can be self-employed, independent contractors working for a particular company, or employees of a company. If the truck driver is an employee, the driver's employer may also be responsible for the driver's actions (in most cases) based on the concept of vicarious liability, referred to in legal terms as the doctrine of respondeat superior. Vicarious liability also may be possible in some non-employee situations. The trucking company may also have independent legal responsibility if it hired an unfit driver or allowed that driver to continue working for the company after the company knew, or should have known, that the driver was unfit. And, if the facts are egregious enough, the injured party may have a claim for punitive damages, which are additional damages meant to punish the driver and/or the employer. It's also important to determine the owner(s) of the truck, trailer, and cargo (as these can be different from one another and different from the driver or the trucking company). And, it is important to analyze whether additional parties may be liable—including other drivers on the roadway at the time of the accident or even state and local governments that may have allowed hazardous roadway conditions to exist that contributed to the accident. Laws can also apply to trucking cases that do not apply in automobile accidents. In particular, the FMCSA regulates the trucking industry and sets specific rules for the condition of trucks, their cargo, inspections, driver qualifications, number of hours a driver can be on the road, and other matters. There also can be state or local laws applicable to commercial trucks (so long as federal law doesn't preempt such laws). If a lawsuit arises from a trucking accident, the litigation process can be quite complicated. In addition to potential issues involving numerous parties, there is a large amount of paperwork and electronic information that often must be requested and analyzed during the "discovery" process. This can include ownership information, systems/tracking data (including GPS), daily logs, alcohol and drug testing results, inspection reports, maintenance and repair records, federal filings, freight and cargo records, employment documents and records, internal policies, and other documentation. It also may be necessary to retain experts—such as accident reconstructionists —if there is a legal dispute about how the accident happened. As with other personal injury cases, liability insurance plays an important role. Federal law requires that trucking companies obtain certain levels of insurance that are typically much higher than levels required for automobile drivers and owners. However, if the available insurance is insufficient to cover the injured party's losses or doesn't cover a certain type of damages (such as punitive damages), the at-fault party will be individually liable. In addition to liability insurance, there may be medical payments coverage ("med pay") that is available in the short-term, regardless of fault, to assist with medical bills. If you are in an accident involving a commercial truck, including, but not limited to, an "18-wheeler," you may have a viable legal claim, depending on who was "at-fault" for the accident. If you do have a claim, the monetary value of your claim will depend on the injuries involved and the damages that may be legally recoverable. 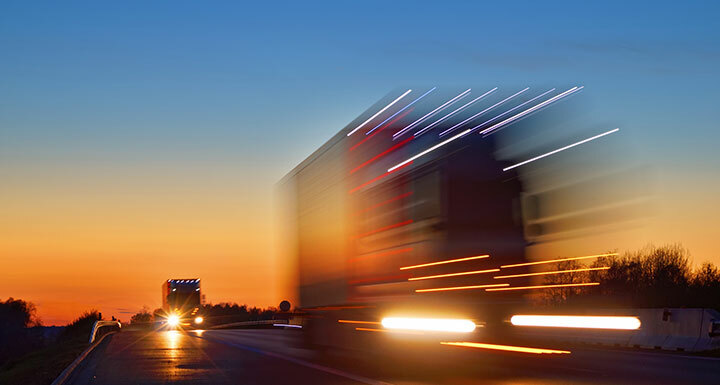 Trucking cases—even more so than normal automobile accidents—involve complex issues that require specialized legal analysis. Should you or a family member potentially have such a claim, it is typically very important to contact an experienced attorney as soon as possible because some of the evidence or data (such on onboard electronic data) may be lost if not requested immediately. Accident reconstructionists may need to be employed quickly before other evidence from the accident is lost. An experienced attorney who knows how to handle these matters, and knows who to retain to assist as necessary, can help address these issues and navigate such a challenging situation, particularly if time is of the essence. Doing so can help you or your family member recover the full extent of available damages when the trucking accident is someone else's fault.